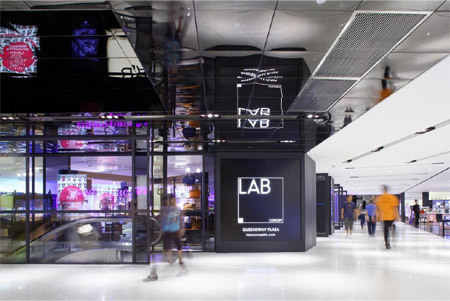 Queensway Connection / LAB Concept, Hong Kong by CL3 Architects Ltd. 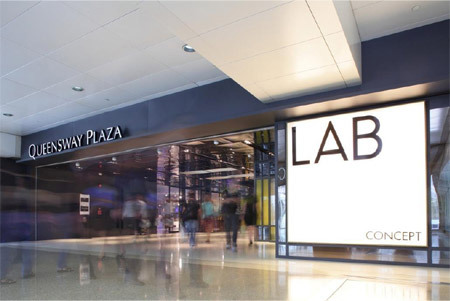 The Queensway Plaza was a retail mall built in 1980 by the Hong Kong government as part of the Mass Transit connection system. 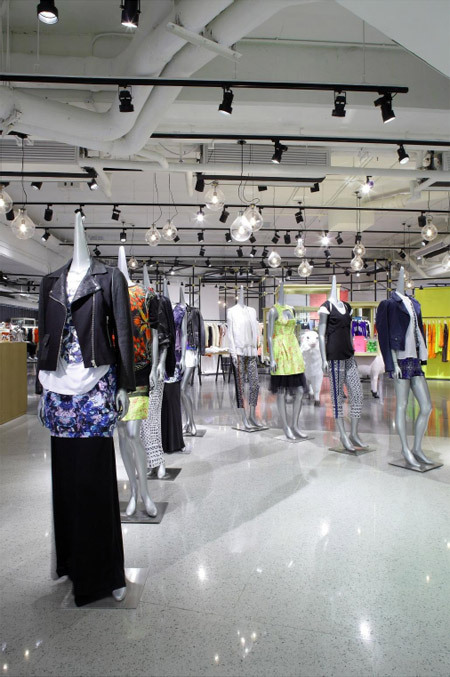 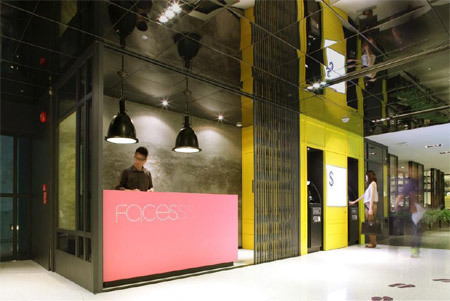 In 2010, it was leased to the young fashion mega store LAB concept which warranted a complete renovation. 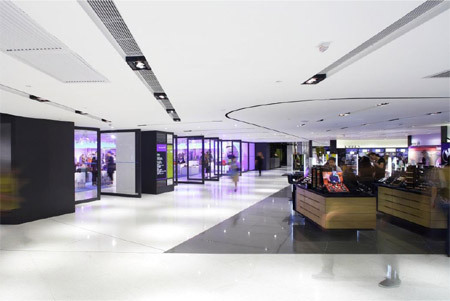 traditional Hong Kong style sliding gates and electric shutters are devises used for the transformation from a pedestrian passage during afterhours to an open, contemporary and vibrant retail environment that contains cosmetic vending machines and ATM machines. 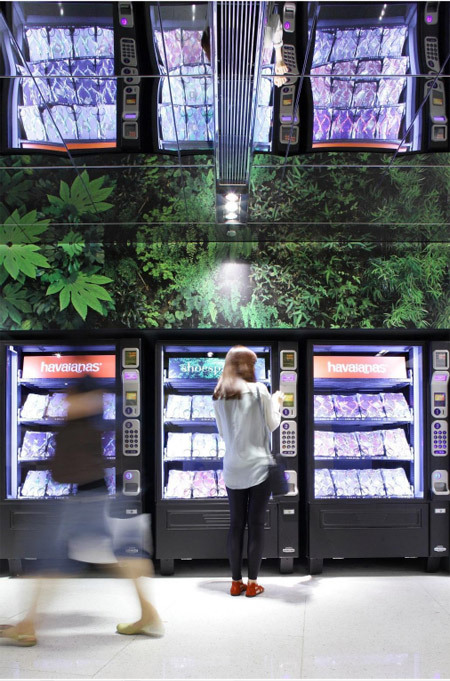 Choice materials and design has to be durable, sustainable and able to connect the civic function with the retail environment.